Continuing where he left off with The Jackson 500, Volume One, Tim Biskup's latest fine-art collection contains paintings 101 to 200 in a series of five hundred business-card-sized paintings, reproduced at actual size. 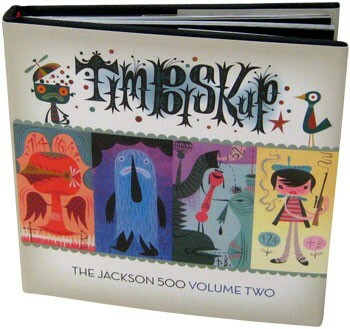 Acting as a kind of workshop for new ideas, the tiny paintings in The Jackson 500 Volume Two are spontaneous compositions that contain the buds of many of Biskup's recurring characters, themes, and color theories. 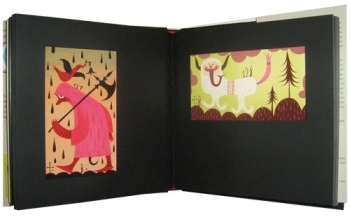 With a fondness for mid-century graphic design, Japanese monsters, chaos, and smoking dinosaurs, Tim Biskup has honed an infectious style. His surreal, dense, colorful paintings evoke Paul Klee, James Flora, and Hieronymus Bosch, as well as animation pioneers like Ward Kimbal, Bob Clampett, and Mary Blair.